Posted by Christina Ruiz & filed under Issuu Reviews, Wordpress. You’ve uploaded your PDF to Issuu, and now you have a stunning, interactive flipbook that you would love to share with your website visitors. The easiest way to is embed your flipbook online onto your WordPress website or blog is with Yumpu. That way, even if your followers miss your social media updates, the flip book will always be available on your website for easy viewing with Yumu.com. The WordPress Plugin Issuu: Do You Need It? 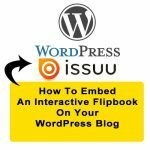 If you have a self-hosted WordPress website, you can go to Plugins and search for “Issuu” to find many options for embedding your free flipbooks onto your website. There is an official WordPress plugin from Issuu, but you’ll notice that the plugin description says it is “deprecated.” That means it is no longer being updated. It may not work with the latest version of WordPress. Before WordPress 4.0, you had to install this flipbook wordpress plugin to get your free flipbooks onto your website. Now, you no longer need it, so this plugin has become obsolete. Simply go to your publication on the Issuu website. Next, you’ll get the Embed page, where you can customize the display options. You can change the size, background and layout to make it fit in with your website. Then, under the embed code, you’ll see a URL for easy embedding on Tumblr or WordPress. All you have to do is copy that URL. Then, login to your WordPress site and create a new PDF page flip , or edit an existing page, and paste the URL directly into the Visual editor. Place the URL just where you would like the free flipbook reader to appear. Then, click “Preview” to see how your free flipbook will look to your visitors. If you’re satisfied, click “Publish.” Now, your flipbook is ready to be viewed by anyone who visits your site. Here’s an example of an Issuu flipbook using default display settings. Doesn’t it look great? 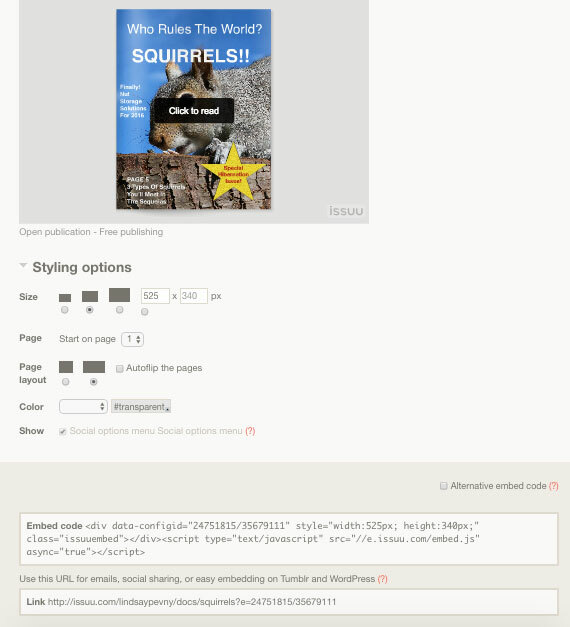 You don’t have to worry about responsiveness with your embedded Issuu reader. Your flipbook can be viewed from any mobile device. It’s a great alternative to links to PDFs, which may be difficult for mobile viewers to download on their phone’s network connection. Your embedded flipbook reader will have Issuu’s branding on it, and in fullscreen reading mode, a sidebar appears on the right featuring Issuu content from other publications. This could be a problem if you want to keep your readers from wandering off your site. Fortunately, the suggested flipbooks pop up in a separate tab if clicked, so you won’t necessarily lose your site visitors to competing content. Get rid of the ads and watermark when you upgrade to a Plus account. If you’re using Issuu for business, you can get a Premium account to add your own logo. It’s always best to have just one PDF flipbook per page post. Having too much media on a single page can cause it to slow down. It can also overwhelm your readers. You can make a flipbook library on your WordPress blog by creating a post for each book. You might want to have a special post category for flipbooks to keep them separate from your blog. Type up a quick summary of each flipbook to make it easier for your readers to find what they need. Then, you could upload the cover of each flipbook as the featured image of each blog post. Issuu flipbooks aren’t just for magazines. You can also create a flashy portfolio of your designs, or display your artwork in an interactive gallery. It’s also useful for businesses to create bonus content, like whitepapers or case studies. If you design brochures, seasonal shopping catalogs, presentations and educational materials, using an interactive flipbook with Yumpu is a smart option. It can be difficult to get online readers to consume a large amount of information, but you can more easily catch their attention when you present it in a sleek, interactive flipbook at Yumpu.com. I don’t want to have another brand on my flipbook. Is there another tool that offers the removal of the watermark for free? Unfortunately other tools I know about also just offer the removal of their watermark if you upgrad your package. It’s not too much though. Yumpu for example offers the adfree plan for 14.95 € (billed annually). I used Issuu a long time ago and I acutally used it for portfolios only. I haven’t thought about producing a brochure with it. I wanna try to do it with Yumpu. Or does someone has any other recommondations? I tried the flipbook tool on my mobile – it looks amazing! 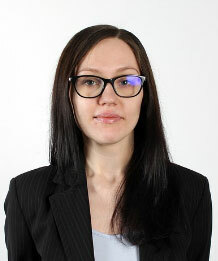 I build a web site for a client of mine with woocommerce integration to let people read their magazine as soon as they purchase it. I use a WordPress plugin to upload the magazino on yumpo and everything works fine but I neet to set magazines uploaded on yumpu protected by default. So only a specific domain with the emebedded code can show the magazine. How can i set for every upload the visibility option “Only on my website allowed” and the domain protected field? Is that possibile to add this option on the E-Papar WordPress Plugin? Great step by step instructions. It is easier than I thought. My experiences with Yumpu were great! I got all the features I needed – especially those I needed for interactivity.